What could possibly be better than experiencing one of the world's seven natural wonders? 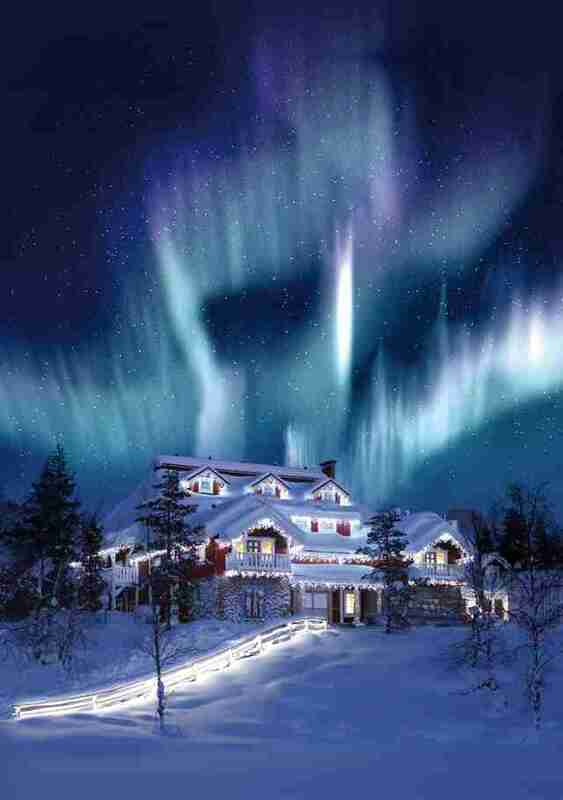 If it's the aurora borealis, then viewing it unobstructed from a warm bed, beer in hand is a good answer. 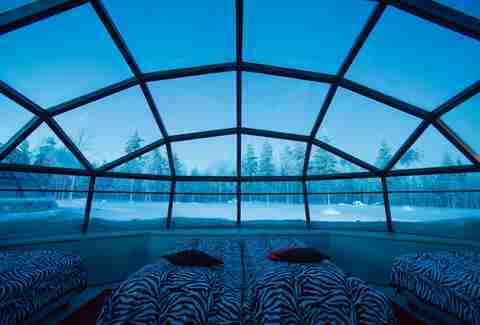 That dream is a reality at the Kakslauttanen Arctic Resort in the Finnish Lapland. 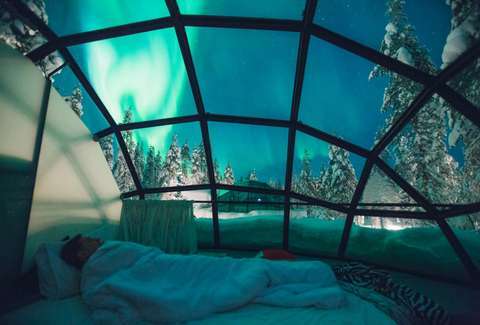 There you can stay in a glass igloo that provides a unique view of the Northern Lights, with rooms starting at $455 a night. 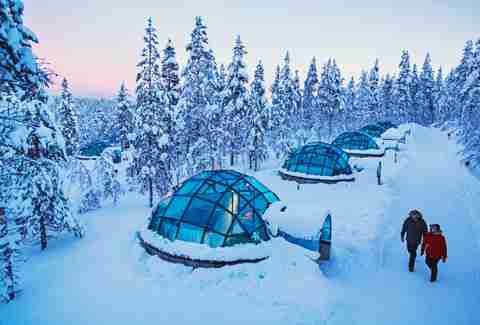 Covered in thermal glass, the igloos stay warm and avoid frosting over despite being located north of the Arctic Circle where temperatures can reach a less than ideal -40 degrees Fahrenheit. Though, with the heatwave sweeping across the southwest right now, the Arctic Circle sounds kind of nice. The resort has a handful of housing options, including log cabins with a glass dome porch, snow igloos, more traditional houses, and the glass igloos from above, which are available from August 20 through the end of April. The limited availability of the glass igloo is because there's just a 200-day window where the Northern Lights are visible from the resort. 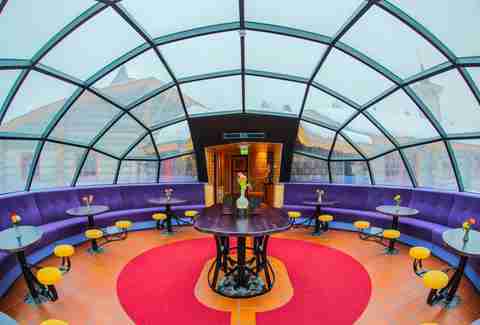 The igloos come in two- and four-person versions, with access to the world's largest smoke sauna as well as a glass igloo bar and restaurant, pictured above. Cesar Romero's Joker would love this color scheme. 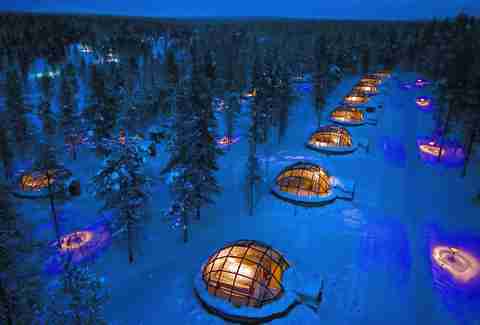 The glass igloos should be incentive enough, but there are bonuses for those not concerned about frost bite, including dog sled tours, reindeer safaris, ice fishing, and the ability to visit Santa's house, which is apparently in Finland. Looking at the view from these igloos, it's hard to blame St. Nick for ditching the North Pole and moving to the Finnish Lapland. The guy works really hard one day a year, let him spend the rest of the year wherever the hell he wants. Dustin Nelson is a News Writer with Thrillist. His favorite KHL club is Jokerit. Follow him @dlukenelson.